Facebook voice message is a 60-second audio message you record from an iOS or Android smartphone/tablet and send to friends and followers on Facebook. Do you have people on your Facebook personal profile that you want to build your business relationships with? Facebook voice message is another good tool to use in order to keep in touch. Have you considered using Facebook voice messages to connect with your customers? If no, this is the time to start using it. If you connect with customers on your personal profile, you can use Facebook voice message with great success. 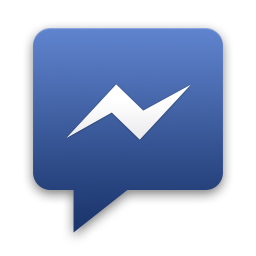 To send a Facebook voice message, you need to have the Facebook mobile app or the Facebook Messenger app for your mobile device. You can get the app for Android and iOS. After which, you open a new message using the Facebook app. If you use an Android phone, simply press the paperclip symbol to open a blank voice message. If you use an iOS device, simply press the microphone. When your blank message is opened, press and hold the red button to record. When you’re done recording, release the button and click “Done” to send your recording. When a voice message is received, a playback box appears in the recipient’s Chat or Message window. They just click the arrow to listen! You can use the Facebook voice message to build quality relationship with your friends and the customers you have on your Facebook profile. People tend to relate with you better when they hear your voice. Also, you can use the Facebook voice message to explain more about your business in 60-seconds. In what other ways do you think the Facebook voice message can be used for online business success?